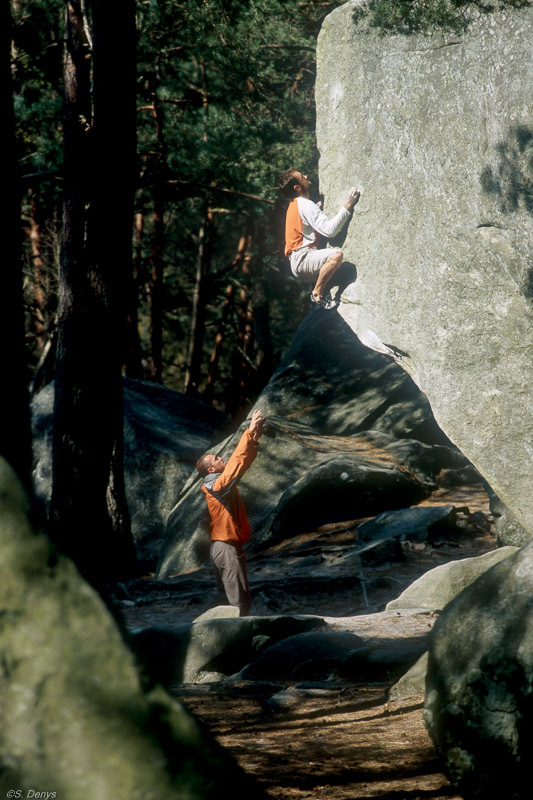 Welcome to Bleau.info, the leading database of climbs in Fontainebleau! Thank you all for your continuing support and contributions! At the moment, the continuously updated database of bleau.info provides information about 30.000 boulder problems in 254 areas in Fontainebleau. An interactive map shows the location of these areas. The basic and advanced search help you to find the problems you are looking for. If you are new here (or if you haven't created an account yet), please read the about page to learn what's on offer. We invite everybody to read the ethics page. Respect the forest. Leave no traces. If you like Bleau.info, you might be happy to contribute by sharing information, a photo or a video. Receive regular updates about bleau.info and Fontainebleau bouldering by signing up for our newsletter. View an example.